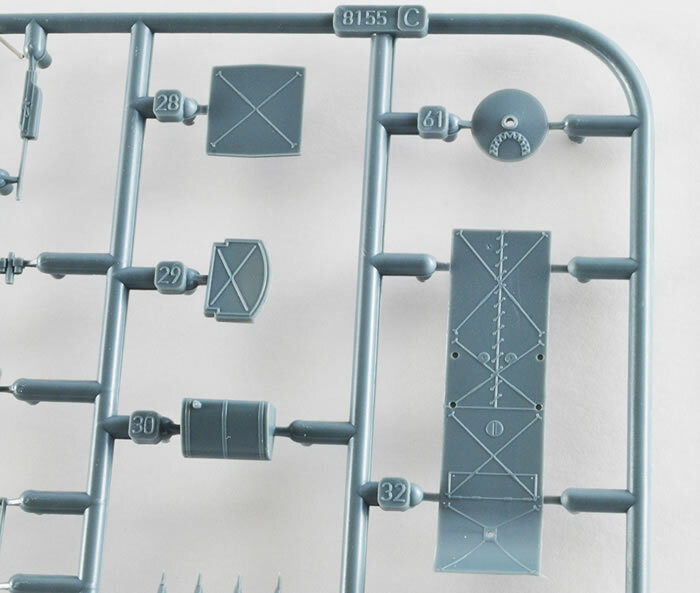 Three sprues of grey injected moulded parts, one clear part, decals and instructions. Excellent details, no flash on the parts, with a couple of pretty interesting schemes despite a large amount of plain linen on the aircraft. Not a quick build due to rigging. Great detail without the need for photoetch for an interesting looking aircraft. The Fokker E.II was the second variant of the German Fokker Eindecker single-seat monoplane fighter aircraft of World War I. 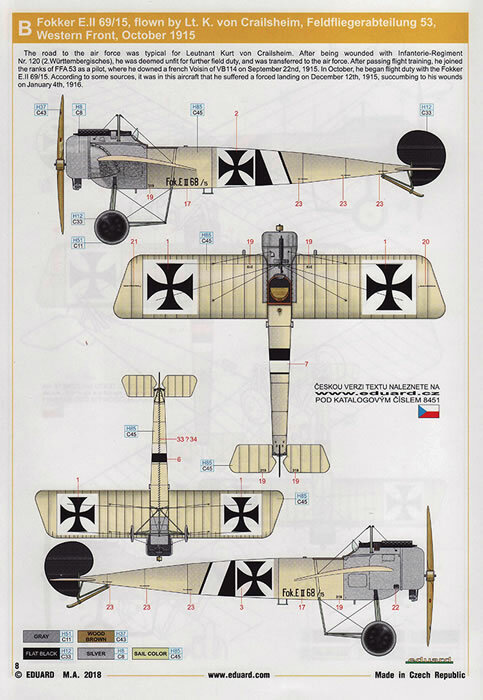 The E.II was essentially a Fokker E.I with the 75 kW (100 hp) Oberursel U.I 9-cylinder rotary engine, a close copy of the French Gnôme Monosoupape rotary of the same power output, in place of the E.I's 60 kW (80 hp) Oberursel U.0, but whereas the E.I was simply a M.5K with a 7.92 mm (.312 in) machine gun bolted to it, the E.II was designed with the weapon system integrated with its airframe. 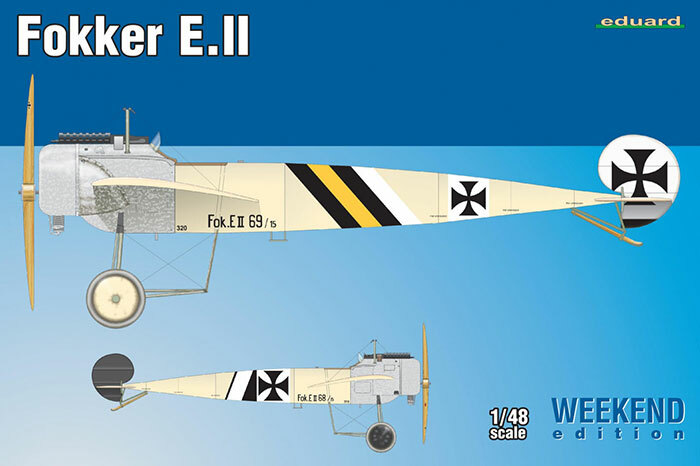 A total of 49 Fokker E.II’s were constructed in 1915. 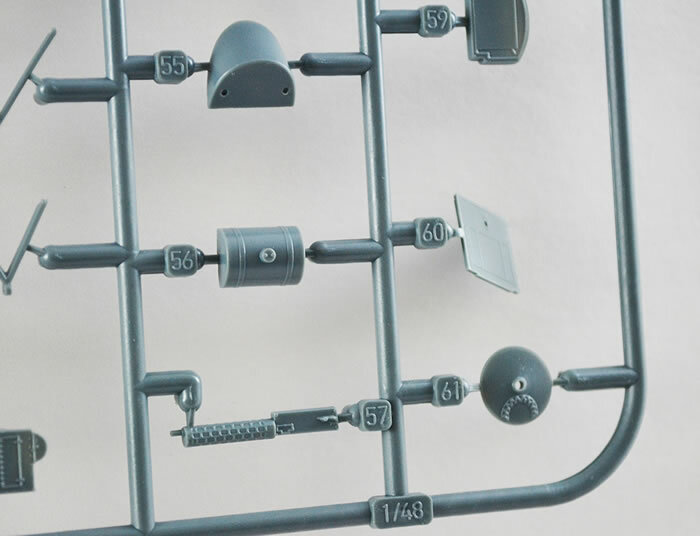 The Eduard Fokker E.II Weekend Edition comes in a sturdy top opening box, containing three grey injected moulded sprues with a parts count of 96 with 15 of these not used on this version. Good detail on all parts with not flash visible. 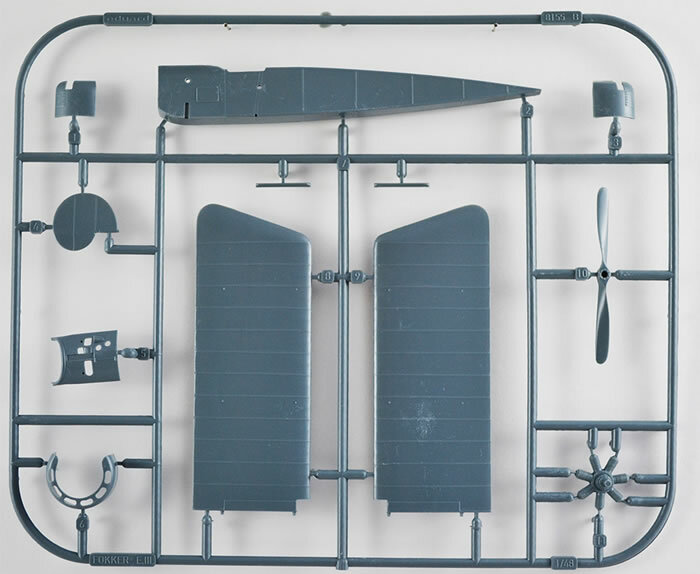 This sprue has the starboard fuselage, wing, tail planes, engine, prop and cowl. 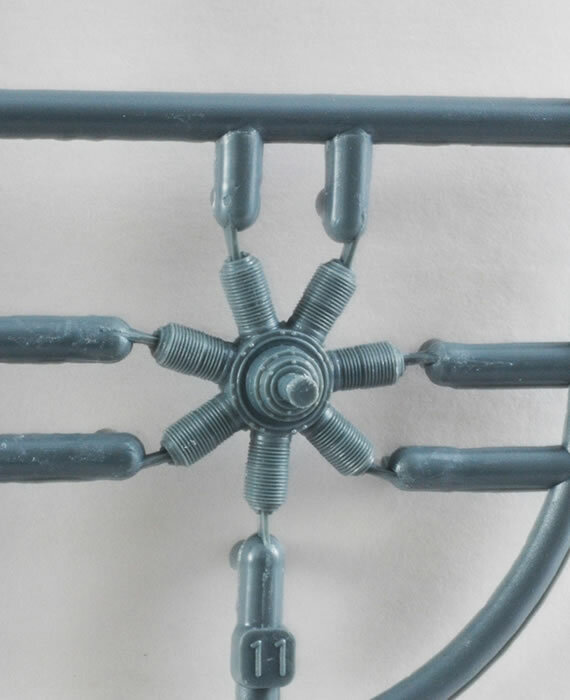 There is a wing from either the E.I or the E.III not used on this sprue. Good detail on all parts with not flash visible. 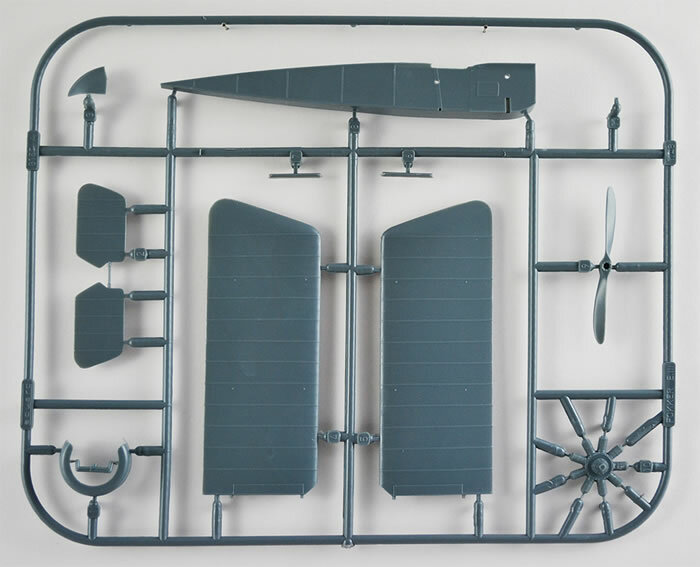 A close repeat of sprue A, with the port fuselage and wing, but in this case the prop, engine wing and engine cowl from the other version are not used. Good detail on all parts with not flash visible. 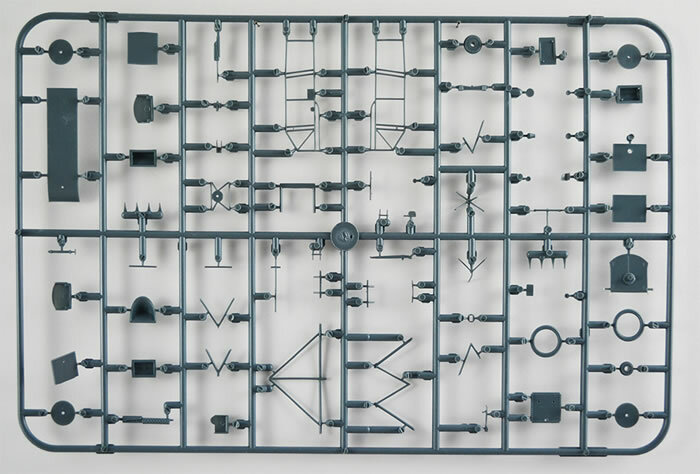 This sprue contains the bulk of the parts for this kit. 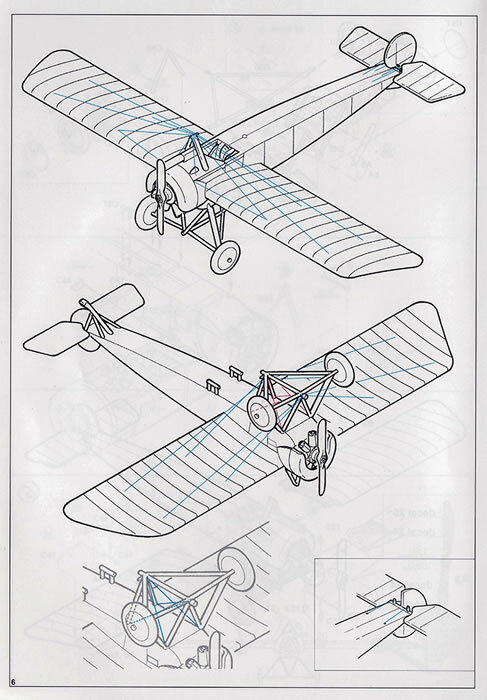 The detailed cockpit frames and parts, the undercarriage and wheels are here. 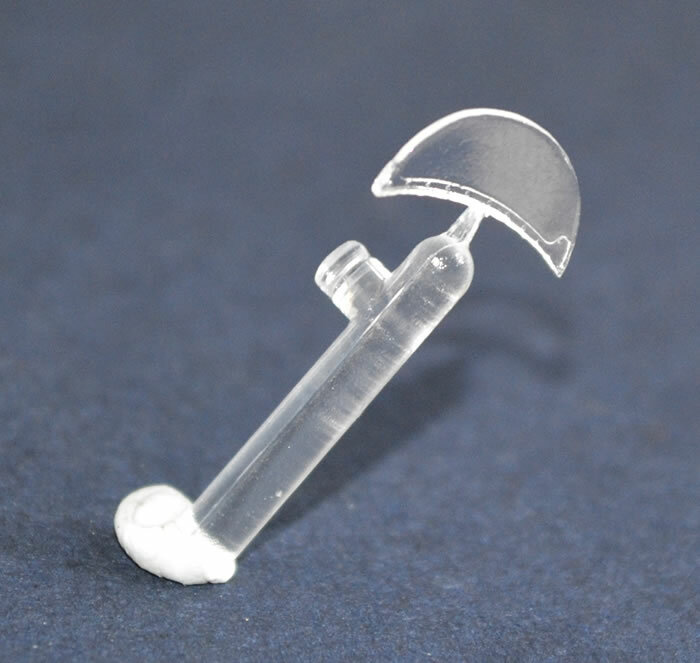 A total of 72 parts of which 8 are not used. Again the detail and cleanliness of the parts is outstanding. 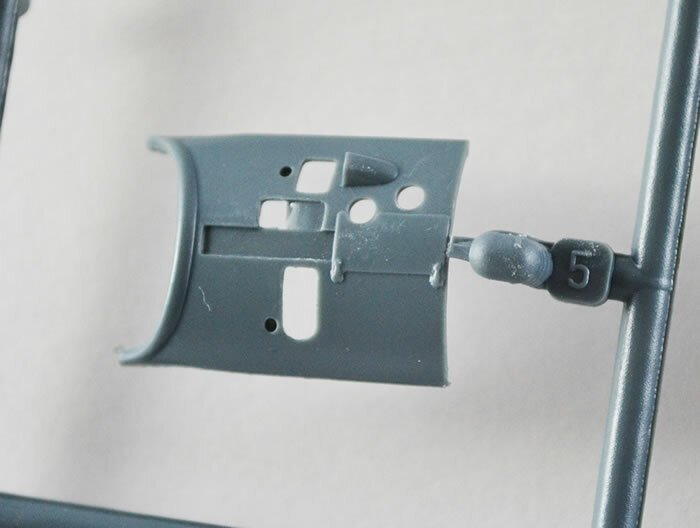 The number of parts used in the cockpit ensures that it will look suitably busy and detailed through the open top. I’ll include the one clear part in this section. It is the windscreen and is crystal clear with subtle detail on it. 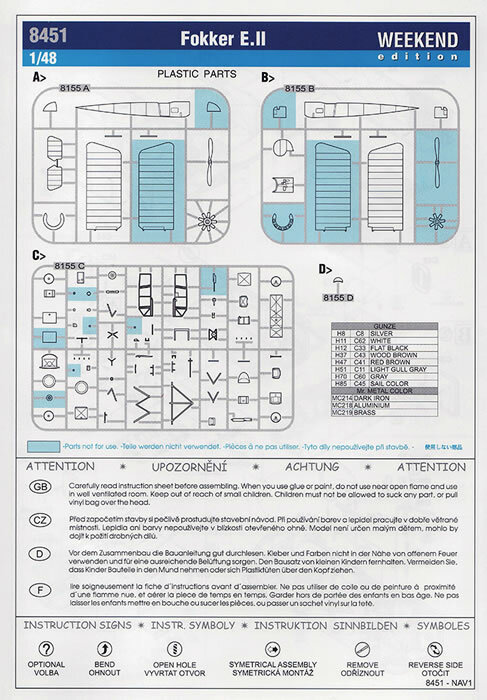 The kit comes with the usual Eduard high quality instructions of 6 A5 sheets with copious colour call outs for Gunze branded paints. 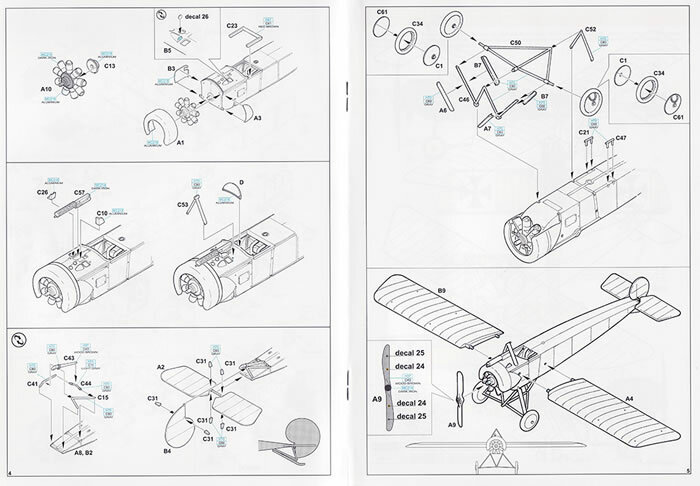 A detailed rigging plan is also included. The decals look to be in perfect register and suitably thin. The schemes offered are quite interesting despite the bulk of the aircraft being plain linen. Fokker E.II, 68/15, flown by Lt. Bruckmann, Armeeabteilung Gaede, Western Front, late 1915/early 1916. Fokker E.II, 69/15, flown by Lt. von Crailsheim, Feldfleigerabteilung 53, Western Front, October 1915. 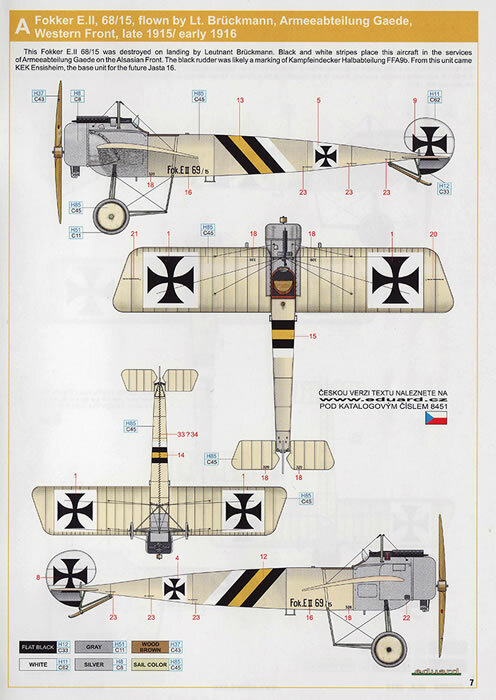 A very nicely detailed early WWI aircraft has been produced by Eduard. Despite the Weekend Edition tag, this is a slow careful build with a very good level of detail within it. For the WWI interested modellers, this gives you another interesting subject of quality to add to the stash or even made up and in the model cabinet. It is a great buy at present from Hannants with 1/3 off for the bargain hunters.